Overnight masks seem to be the latest skincare must-have, and almost every brand from drugstore to luxury has their version of a leave-on mask. As the name suggests, these masks are meant to be applied and left on overnight - no rinsing, peeling, scrubbing involved - and wake up to healthy, glowing skin. 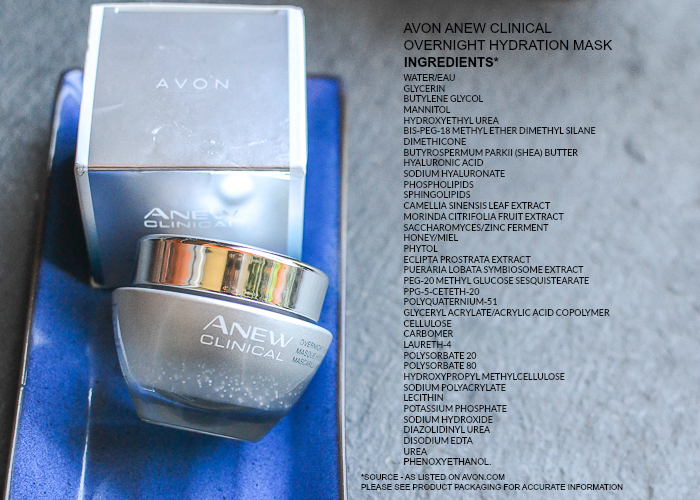 Avon Anew Clinical Overnight Hydration mask promises just that - Let Avon work for you while you sleep! 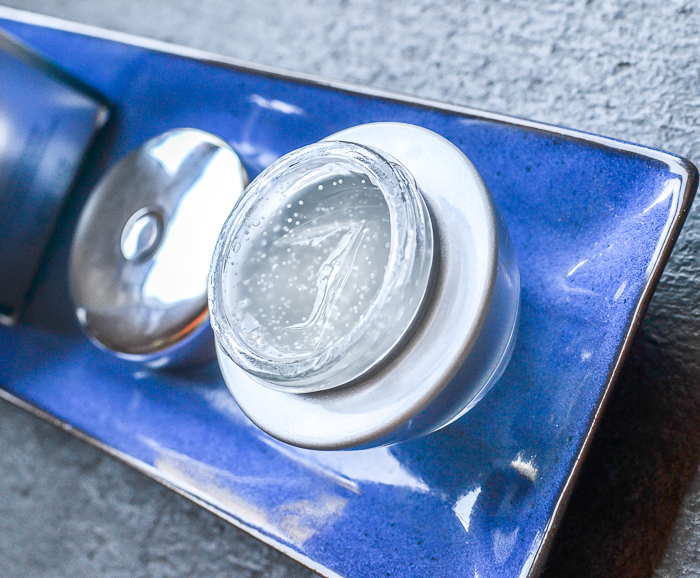 This unique gel mask contains encapsulated hyaluronic acid and shea butter that melts into the skin as you massage the mask into the skin. The product is fragrance-free, paraben-free, and also oil-free and is labeled as suitable for sensitive skin. Scroll on for more. The mask is housed in a beautiful, heavy glass jar. The mask itself is a clear gel with white beads floating in it. Avon Anew Clinical Hydration Mask is a bit different from other hydration/overnight masks I have tried. The mask is a thick clear gel with white beads suspended throughout. To use, apply the mask as you would your regular moisturizer, dotting it over the face and massaging the product into the skin. It feels soothing and a bit cooling on the skin, and the white beads melt into the skin as the mask is massaged into the skin. While this looks like a light gel, it actually feels quite heavy on the skin, probably because of the shea butter in it. It feels like a serious moisturizer, and if you have dry skin, you could use this as an overnight mask as suggested, but for my oily-combination skin, I need to use only a tiny amount and tissue off any excess after about 30 minutes. Please check product packaging to ensure accuracy. I have oily-combination skin, and I don't really require heavy, overnight masks, especially in the summers. I see myself reaching for this more during winters when indoor air can get pretty low in humidity and/or on long-haul flights when my skin needs every bit of moisture it can get. 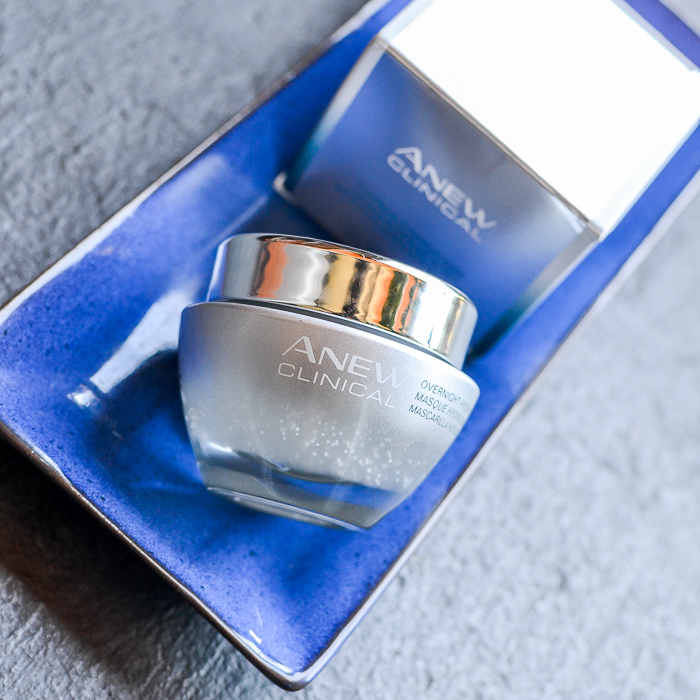 Avon Anew Clinical Overnight Hydration mask seems like a good pick for those with dry skin and requiring a heavy-duty moisturizer.